Neuro Plasma Serum is an innovative anti wrinkle treatment that visibly redefines skin texture and appearance by cellular detoxification and delivering purifying properties through repairing damaged proteins and stimulating proteasome activity. 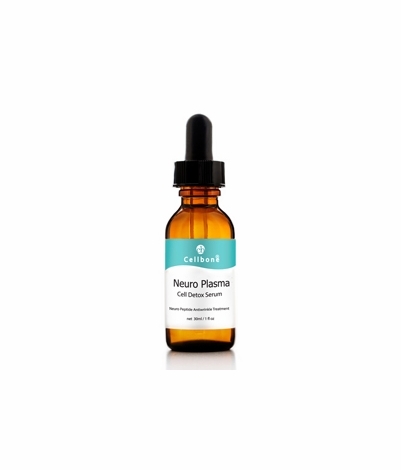 Neuro Plasma Serum purifies and minimizes the appearance of enlarged pores while increasing skin firmness and re-contouring fine lines and wrinkles to regain a youthful smoothness and radiant looking skin. Apply a few drops to cleansed skin twice a day morning and night. Follow with Cellbone Hydra B5+ Gel or moisturizer of your choice.